Shanghai Disney Resort announced a new Zooptopia-themed expansion of its theme park – Shanghai Disneyland – , bringing the characters and stories to life. The announcement marks the second major expansion of Shanghai Disneyland. When it opens, Zootopia will become the eighth themed land at the world’s newest Disney park, and the first-ever Zootopia-themed land at any Disney park worldwide. The expansion announcement comes less than three years after the Grand Opening of the resort, and less than one year after the opening of its first major expansion – Disney·Pixar Toy Story Land. 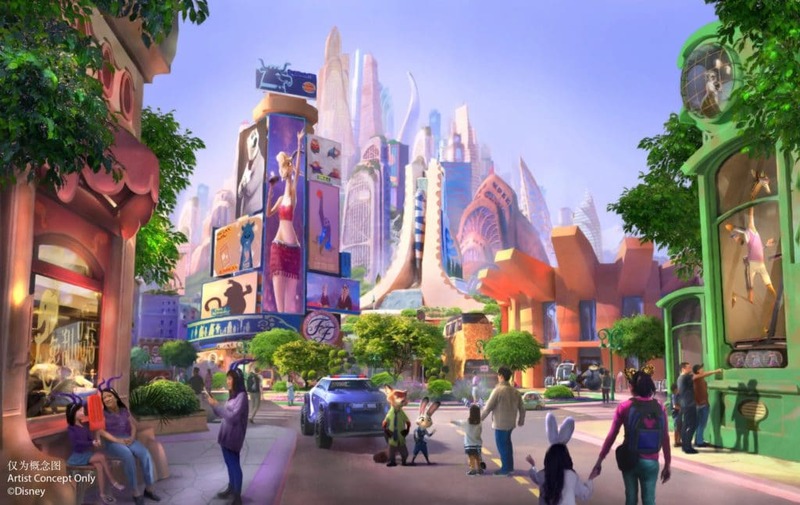 As the first-ever themed land of its kind, Zootopia will be unique to Shanghai Disneyland and will feature a new major attraction that seamlessly blends Disney’s storytelling and state-of-the-art technologies in order to bring this fan favorite movie and its characters to life. The new themed land will also invite guests to fully immerse themselves in the mammalian metropolis of Zootopia, “where anyone can be anything,” and come along on an adventure with Judy and Nick, the lead characters from the animated movie. With a brand-new attraction, entertainment, merchandise, and food and beverage offerings, the new land will provide guests with even more to experience and enjoy at Shanghai Disneyland than ever before. The development of the world’s first Zootopia-themed land follows on from the huge success of the Zootopia animated movie across the world, and particularly in China, where it broke box office records to become the country’s No. 1 all-time highest-grossing animated feature film. Characters and stories from the film have strongly resonated with Chinese guests, which has led to the successful performance of Zootopia-themed merchandise, digital interactive games, and more, throughout the Chinese market. Judy and Nick can currently be found greeting guests at Disney parks worldwide, and will soon be joined by other Zootopia friends at their very own land at Shanghai Disney Resort. The construction of Zootopia is targeted to begin later this year. At the moment it is not clear when the new land will open to the public.